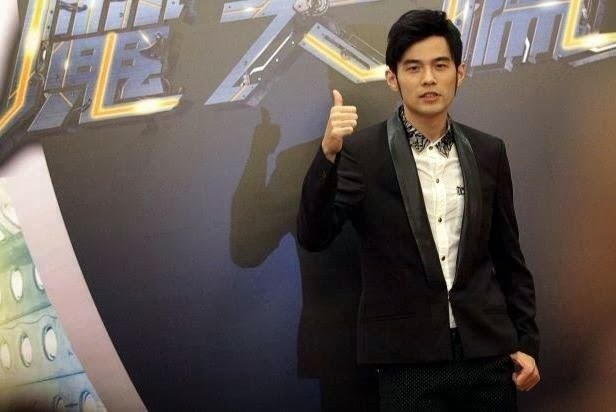 Jay Chou Diaoness: Jay Chou in Jakarta! 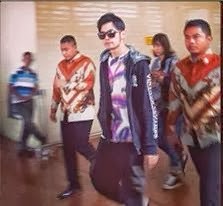 One more day to Jay's inaugural concert in Indonesia and Facebook was abuzz with pics and updates of him arriving at the airport in Jakarta. Most of his crew had already been posting photos from Indonesia but there had been no sign of Jay. Needless to say, I was determined to keep up with the News Feeds and also made a new Facebook Friend who said she was staying in the same hotel as Jay! Can't wait to see what she will post! Looking very dapper in that suit....hey! I recognise that shirt! It's my favourite from his Hongkong concerts! Jay's first visit to Indonesia was with his family more than 20 years ago. He finds that people tend to drive more slowly here, which is something that he is not used to. For OPUS JAY, he has prepared about 30 songs, including more from his earlier albums. He hopes to hold a concert in Indonesia every two years. There will be a special guest star at his concert but he cannot reveal who it is. Looking forward to OPUS JAY tomorrow! Hii i'm your FB friend xD so fast u already post this. Sorry y didn't manage to take any photo here at the hotel. But i bumped into some of Jay' s crew like G power, Yu Xun, etc. What hotel did Jay stay in?